Assemblyman Kevin Byrne (R,C,Ref-Mahopac) is pleased to announce the passage of a bill (A.4950A) which would create a program to allow local governments and to place cameras on school buses to hold drivers who illegally pass stopped school buses displaying flashing red lights and stop signs accountable for their actions. Funding for the cameras would initially come from local municipalities and be reimbursed through any fines collected. 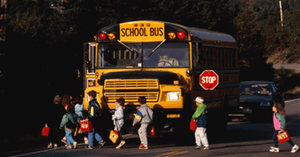 The program would also allow local governments to hold the owner of the vehicle liable for the driver’s failure to comply with the stopped school buses. 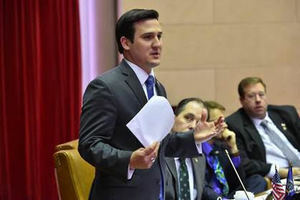 Byrne spoke in favor of the bill on the Assembly floor before voting to pass the legislation on Tuesday, March 19.